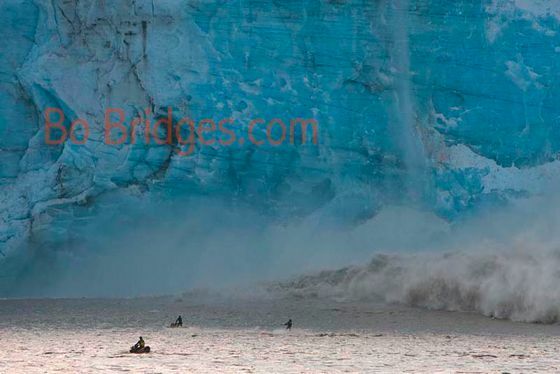 A glacier is a mass of ice which is formed by many layers of snow accumulated on its surface. 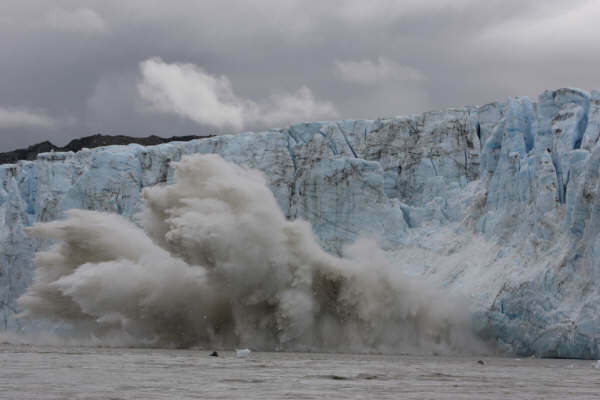 Crushed under its own weight, snow expels air in the glacier and it forms into one big block of ice. The glaciers represent 98.5% of fresh water on the planet. 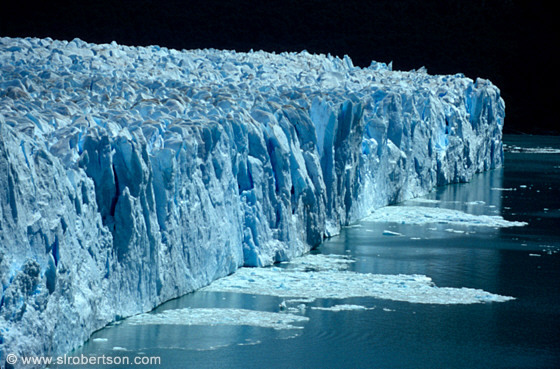 The field of plasticity of ice being particularly extensive, a glacier flows slowly under the influence of gravity along a slope or a creep. More info on Wikipedia.